This non-greasy fluid melts into the skin and restores its radiance and comfort, no matter the circumstances. Rated 1 out of 5 by LisaBobs from Awful I bought this product as Clarins have decided to discontinue Hydra Matte Day Lotion. Hydra Essentiel Milky lotion is not a lotion at all it feels like a thick cream that drags my face around when I apply it. It leaves a greasy itchy feel to my skin and smells far too floral, I have been left with blotchy itchy greasy skin that I cannot apply make up to. I will be returning it. Its expensive and not a patch on the Hydra Matte which I wish Clarins would bring back. Rated 5 out of 5 by SMMcK from Great face cream I use this on top of double serum every day for the past few years and I love it, really helps with my dry skin and feels lovely. Plus the pump dispenser is great for people like me who have no portion control! Rated 4 out of 5 by Charlotte 1995 from Almost perfect I always used the cream for very dry skin, but recently my skin type has changed so i was advised to switch to the lotion. I love the pump because it regulates / controls the amount i use, and there is no waste at the bottom of the tube because there is a platform that raises to ensure all the cream is used - this is brilliant! However, i believe the SPF is irritating my skin. When i used to use the cream, I accidentally bought the one with SPF in it one time and broke out in spots within a week. Otherwise I love the lotion but sadly think I’m going to have to switch because there is no alternative lotion without SPF in it. Rated 5 out of 5 by Leperdy from Love this! I've been using this product for a couple of years now and I still love it! It's so moisturising for my dry skin that even if I've had a cold it moisturises away any super dry skin around my nose from blowing it all the time! It also sits perfectly under my makeup and contains an spf to protect my skin. Definitely recommend this lotion!! Rated 5 out of 5 by Semko from Love it I have combination skin (oily t zone, dry cheeks) and have had huge problems finding a moisturiser that isn't either so rich it makes my face greasy or so stripping it makes all of my face dry. I've found a lot of moisturisers don't do anything for my skin, just sits on top of it then nearly melts off. I was recommended this by a clarins consultant and it's everything I've ever wished for. It's silky smooth and absorbes beautifully, creating a matte yet hydrated look. For the first time in a long time I don't feel like I need much or any makeup to cover redness or shine etc. Will definitely be buying again!! 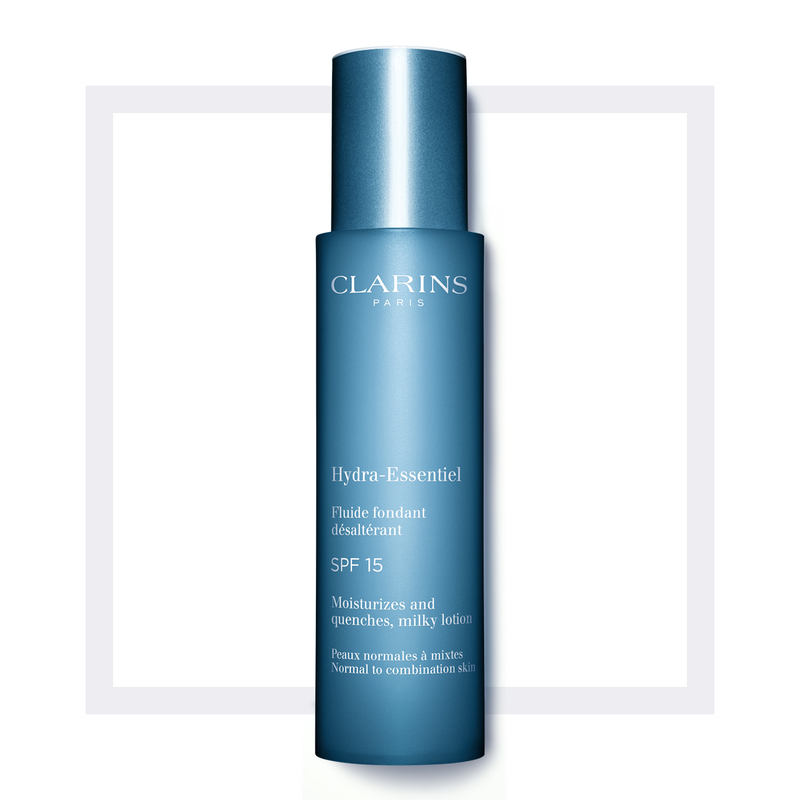 Rated 5 out of 5 by Sylvia29 from Perfect for thirsty but sensitive skin I was recommended this by a clarins consultant as I needed a moisturiser for my dehydrated skin, but anything too rich gives me breakouts. This has been the answer for me, with the added bonus of SPF. I've nearly finished my bottle after 5 months and will be purchasing again - I love it. I use 1.5 pumps for my face and about 0.5 pump for my neck. It does feel a little greasy at first due to the SPF but it soon sinks in. Rated 1 out of 5 by Jude76 from Not good! Had a sample of this moisturiser to sample for my combination/ oily and can safely say I won't be buying the full size. Leaves your skin really greasy and cannot understand why it's says it's for combination skin. Worst moisturiser ever for oily skin. Smells divine though!